We really cannot contain our excitement for the upcoming festival season! Just thinking about it gives us goosebumps... As you've probably already heard, the Electric Daisy Carnival is celebrating its 20th anniversary "under the elctric sky" this summer. To commemorate this momentous occasion, Insomniac has released a 12-minute trailer highlighting eight years of EDC glory. With EDC less than two months away, this video is getting fans even more excited for the summer's most anticipated electronic music festival. The video, entitled The Road to EDC20, highlights EDC's origins in Los Angeles as well as its ultimate move to the Las Vegas desert. In 2008, the Los Angeles Coliseum hosted EDC with 65,000 fans. Last year, EDC brought 405,000 fans to the Las Vegas Motor Speedway. 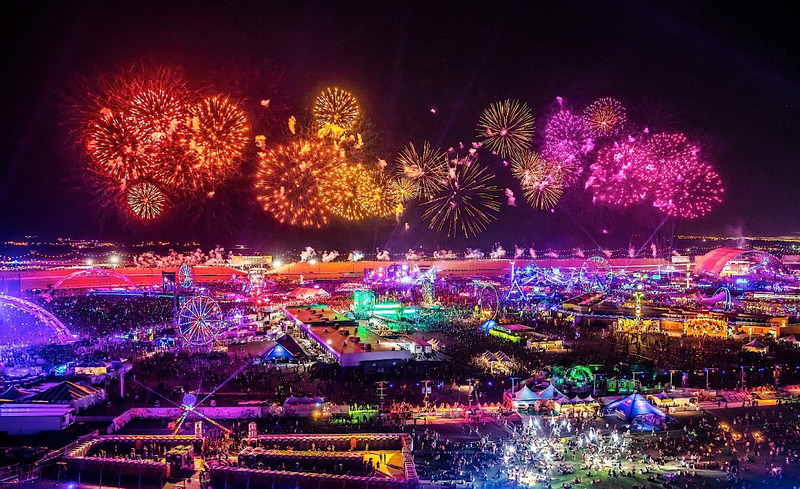 EDC has clearly gotten bigger and better every year, so we can't even imagine the magic that Pasquale Rotella and Insomniac is bringing to the table this year. Fair warning... the non-stop energy, life-size art installations, creative costumes and legendary performances highlighted in this video might just make you tear up a little. The true beauty of EDC's neon-lit playground is way too hard to ignore. The Road to EDC20 reminds us that EDC is not just a music festival... it's a world of self-expression, creativity, love, respect and unity. You can be whoever you want to be under that luminous electric sky and you'll absolutely love every second of it. Thank you so much, Pasquale Rotella and Insomniac. We love and adore you. Safety is key during EDC Week! Click here to lock down your transportation options for you and your friends! Galavantier is dedicated to everything Las Vegas – the new entertainment capital of the world. We are local concierge professionals plugged into the pulse of the city. Our blog's mission is to cultivate the most intriguing, relevant, and up-to-date content while providing you with the know-how to plan the most remarkable travel experiences possible.